We traded a used car for a used truck and got a fair price that we were entirely satisfied with. 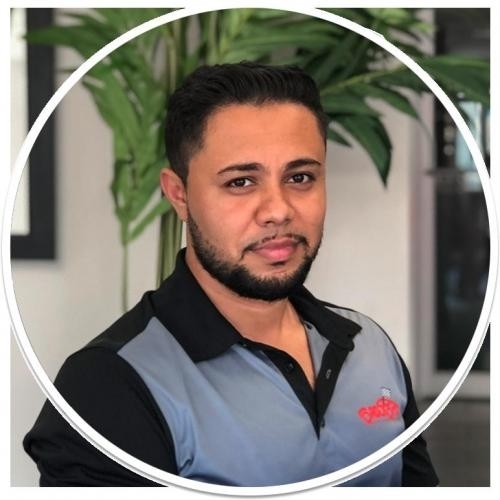 Our sales advisor, Aria Hamidi was a pleasure to deal with. He was very professional and entirely knowledgeable about the truck we purchased. When my wife and I picked it up he explained all of the complicated electronic controls for us before we drove away. We have only had it a few days and so far no problems whatsoever. Aria asked us to call him if we have any and given the service we received, we are confident that he would take care of us if anything was needed. We also got great service from the business manager, Charles. These guys are very personable and it was refreshing to do business with people like them. Are you sure you want to flag this review? From our first phone call to our first showroom visit the management and sales staff were truly amazing. They make you feel right at home and do not use pushy sales tactics. We couldn’t be happier with the vehicle price as they were very competitive and worked hard with the finer details to close the deal. Roadsport and Aria have my future business! Can’t say enough good things about the all round service they provided. Good Luck with your TIPM FUSE BOX! They are scamming theyre customers CHRYSLER FIAT DODGE. TIPM FUSE BOX HAS $5 SODERERD RELAY FUSE TO THE INSIDE TIPM BOX $1600 REPLACEMENT CHRYSLER DODGE FIAT WONT COVER COSTS PROBLEM STILL HAPPENING SINCE 2003. DEALERS IN TORONTO TRIED TO COAX ME INTO A REFURBIHSED PRODUCT. WITH A 3 MONTH WARRANTY DONT BUY IT. BUY THE ORIGINAL MOPAR PART 2 YEAR WARRANTY. THESE CLOWNS WOULDNT EVEN DRIVE ME TO DURAHM TO GET THE PART. Take your scamming glasses off Christian Vasic. We see you. Service is always cheery and the guys are great and while waiting sometimes for my Jeep, I walk around and look at the new cars and talk to the friendly sales people. Good guys, never any problems, great experience, Can't get better than that. I even recommended a friend there to buy his vehicle. 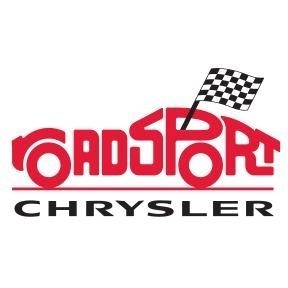 He walked away with a smile and a new Jeep..
At Roadsport Chrysler, we have a strong and committed sales staff with many years of experience satisfying our customers' needs. Feel free to browse our inventory online, request more information about vehicles, set up a test drive or inquire about financing! If you believe you are reading a fake review, please flag it so that our Guidelines Team can review it. You must have a Reviewsii account to perform this action.